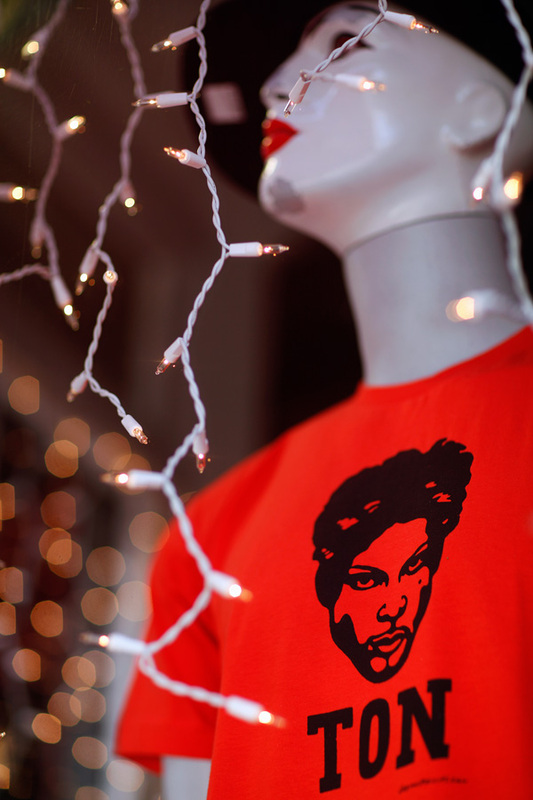 Speaking of pop culture under glass, the official "Prince"-ton T-shirt of the area's skateboard community is displayed in the window of NJ Skateshop at 72 Witherspoon Street. The average IQ in Princeton is skewed high for obvious reasons: intelligence demands myriad and passionate modes of expression. That hoodied blur streaking past on her skateboard may solve quadratic equations with similar dispatch. And that tattooed dude with his hat on sideways may possess the ability to postulate with philosophic authority exactly how many Christmas angels can dance on the head of a pin.